Batman: The Animated Series is an American animated television series based on the DC Comics superhero Batman. The series was produced by Warner Bros. Animation and originally aired on the Fox Network from September 5, 1992 to September 15, 1995. 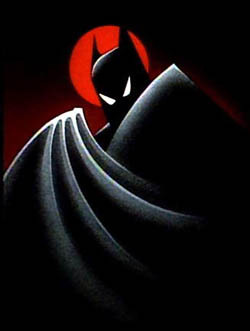 The visual style of the series, dubbed "Dark Deco," was based on the film noir artwork of producer and artist Eric Radomski, although Bruce Timm is often mistakenly given credit for this due to the fact that the characters were based on his designs. The series was widely praised for its thematic complexity, dark tone, artistic quality, and faithfulness to its title character's crime-fighting origins. The series also won four Emmy Awards, including Outstanding Animated Program. The second season of the series was retitled as The Adventures of Batman and Robin and is simply a continuation of the series. 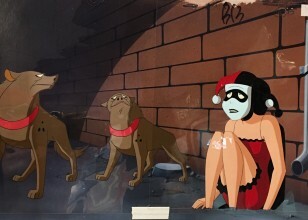 The third season saw a drastic redesign of the entire aesthetic, taking a similar design approach to Superman: The Animated Series, which was being produced by the same animation team at the same time. This third and fourth season also was retitled as The New Batman Adventures. TNBA, despite its changes, is a continuation of the acclaimed Batman: The Animated Series. The series turned to focus more on Batman's supporting cast, including Robin, Nightwing and Batgirl. 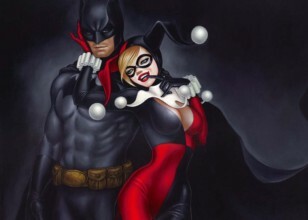 It also saw several crossovers including the acclaimed first animated team-up of Batman and Superman in the appropriately titled episode "World's Finest". The aesthetic would also be emulated for the Justice League and Justice League: Unlimited series, which stars the same Batman.